d! Konstruct: There's an app for that! Whilst fumbling through the endless array of iPhone photography apps, I came across something pretty neat... iPhones can do practically anything these days, and you can now add 3D photography to that list! This ones called 3D Camera by Juicy Bits. It has different shooting modes (grayscale above), as well as a whole bunch of other fancy features you can read through on their website. Well, you take a left and a right picture of an item. The left picture is used to make the red channel and the right picture makes up the green and blue channels. I figured this out when I had a bit of a poke in Photoshop. 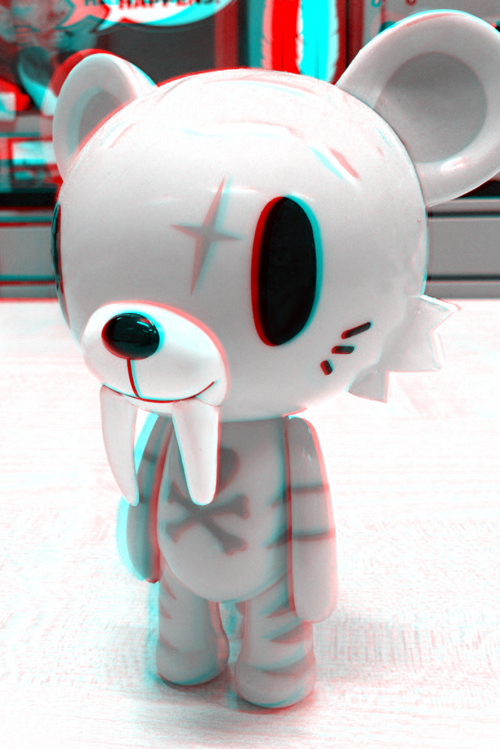 You can do this manually with regular photos if you just nudge the red channel left and rotate it slightly, but to make photos look more 3D and awesome, there are other methods... which I don't know just yet, so I'll stick to the app for now!